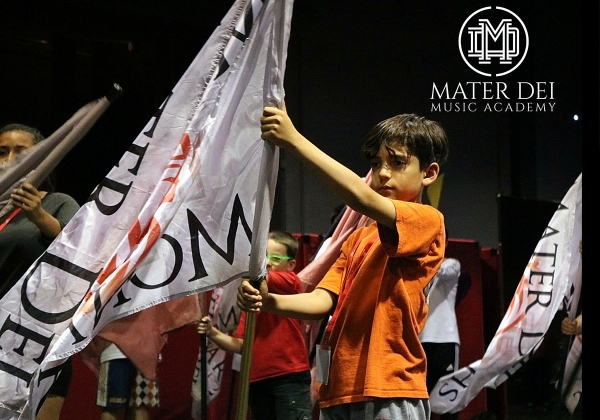 We, the Mater Dei High School Music Academy, believe in building individual confidence and group collaboration by pursuing excellence from day one. We encourage all students to excel spiritually, and musically through expression and individual creativity. The Music Academy is an after school music program for 4th-8th grade Beginning to Advanced Band students hosted by Mater Dei High School in Santa Ana California. A large majority of the student body comes from schools without music programs, or highly effected socioeconomic challenges in inner city public and private schools. Many of these students only experience music through this opportunity of practicing and performing on a high school campus surrounded by high school music students, professional musicians, and teachers. Every year, the Music Academy serves over 150 students across the Southern California region. They perform every year at Knotts Berry Farm, Disneyland, Segerstrom Center of the Arts, and at a Southern California School Band and Orchestra Concert Festival (SCSBOA). Many of our students go on to other high schools in the area with a knowledge of instrument fundamentals, performance experience in a large ensemble, and a new love for the arts. Our goal is to connect the private and public school community to a quality music educational experience and provide an outlet for students who don’t have music in their schools with the best musicians and professional educators in the country. Private, Charter, and Public School students in grades 4-8. Program Fees seem to be difficult to project without turning students and families away. 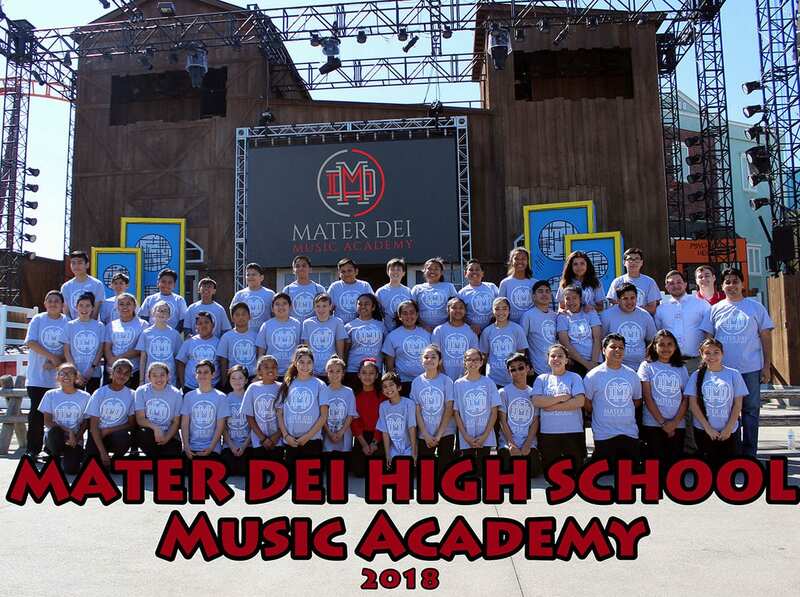 We, Mater Dei High School, supplements students tuition from several inner city schools, while still making the Music Academy affordable to all other students. We are also establishing a parent “Booster” team this year to better delegate and manage our outreach and overall effectiveness. We were able to reach out to over 10 different schools in the area with a potential of almost 40 schools. The program is an effective and successful program every year when we perform for a sold out Segerstrom Center of the Arts in Costa Mesa. Organize a parent support team to help with marketing, outreach, inventory, and more. Every 4-8th grader is a potential member and deserves the chance to have an education in music. Build quality relationships with community members, administration, and local businesses.